ANDREAS EBERHART is a Research Associate at the International University in Germany. He teaches courses on databases, transaction processing, and distributed application development. Before joining the International University he worked as a software engineer in the industry. STEFAN FISCHER is a professor for distributed systems at the Technical University of Braunschweig, Germany. He has authored and co-authored a number of books on application development in networks and distributed systems as well as on network security. 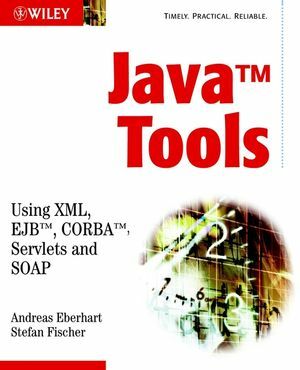 http://www.i-u.de/schools/eberhart/book/index.html >Java Tools Visit this companion Web site for links to the free software covered in the book, downloadable examples, and further information about the authors.